In 2015, American actress, Shannon Elizabeth Fadal, had made a whirlwind visit to Zimbabwe and South Africa to hand over donations raised in the US for projects here in Africa. 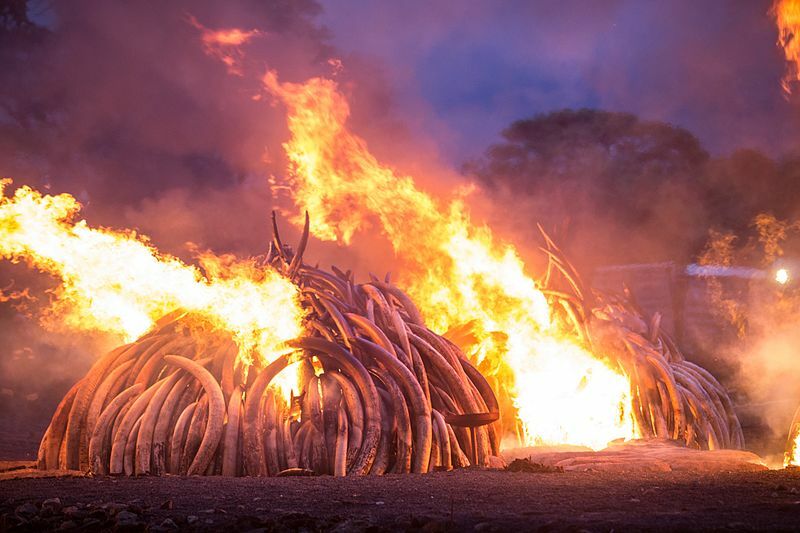 Her mission was twofold, however, as just as important to her was to be in Africa to learn first hand about how she could make a meaningful, practical contribution to conservation efforts, especially regarding the havoc wrought by the poaching crisis. Personal and professional commitments had taken her back to New York, then her home, but it wasn’t long before she was back in Africa. Already support for two major rhino initiatives in South Africa is well under way. 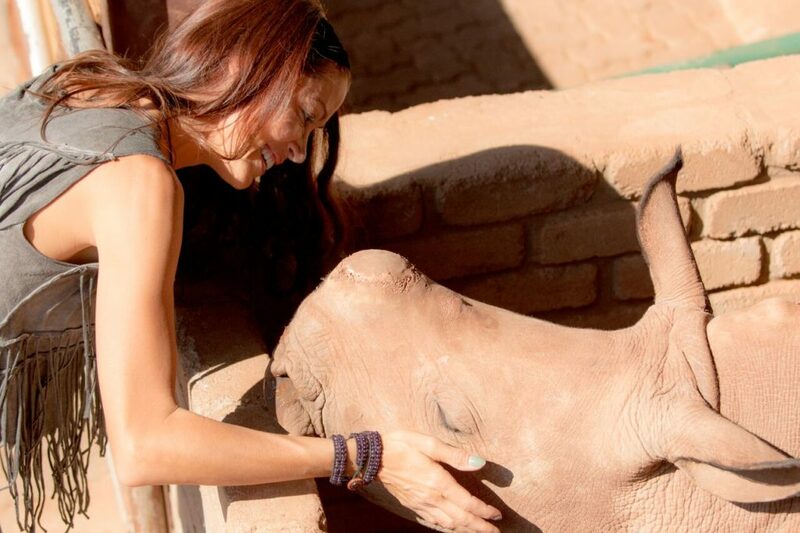 The first is the Rhino Pride Foundation which came into being in 2015 after the founder, Dr Jana Pretorius, realized that there was a great need to provide a physical sanctuary for rhinos under threat and to have measures in place that not only feature hi-tech early warning systems for protection, but also include rapid response to poaching events to ensure that orphans get veterinary help as soon as possible. 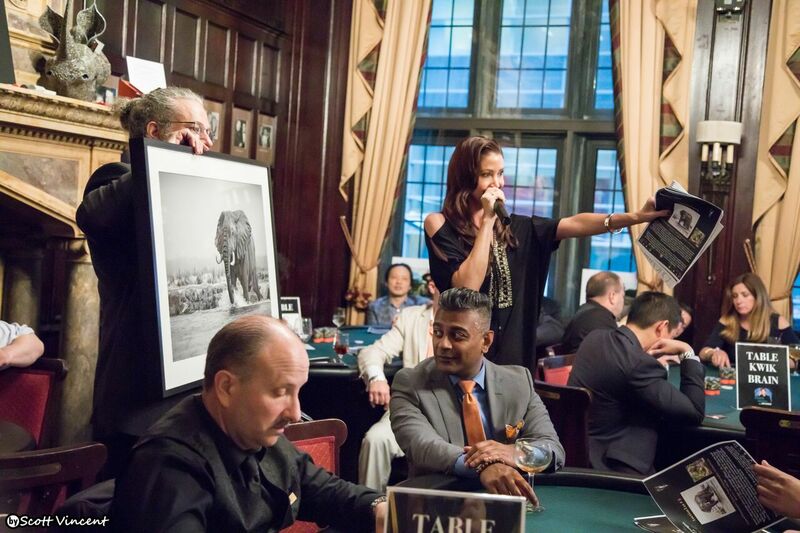 With founder Jana Pretorius at the Rhino Pride Foundation. Then, in late 2017, Shannon got a call from Jana to say that the sanctuary needed help. 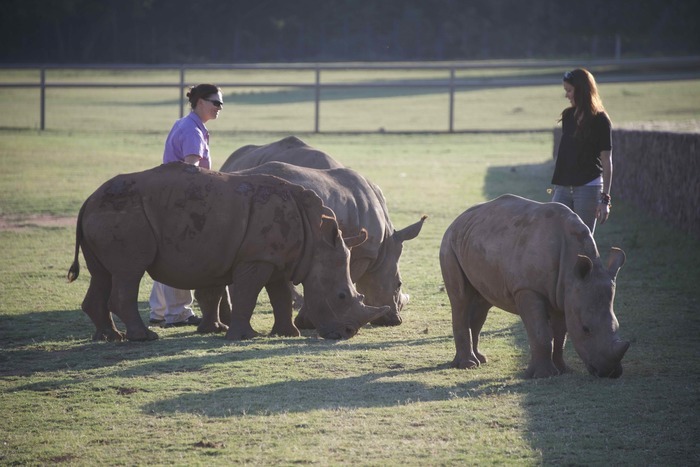 “Currently RPF is home to over 50 rhino and it’s imperative we keep those angels safe and sound,” she explains. “After much back and forth we decided that we would pay for the security services at the sanctuary which we were able to do from November 2017 through March 2018. We continue to evaluate ways we can help Jana and make an impact. The second ongoing beneficiary is Flying for Freedom South Africa, founded by pilot Tokkie Botes. Tokkie has sponsored more than 950 hours of flying his helicopter to aid the police in poaching crime scene investigations, flying vets to emergency surgeries, and assisting with critical calls from farm owners and anti-poaching units to respond rapidly to property incursions. 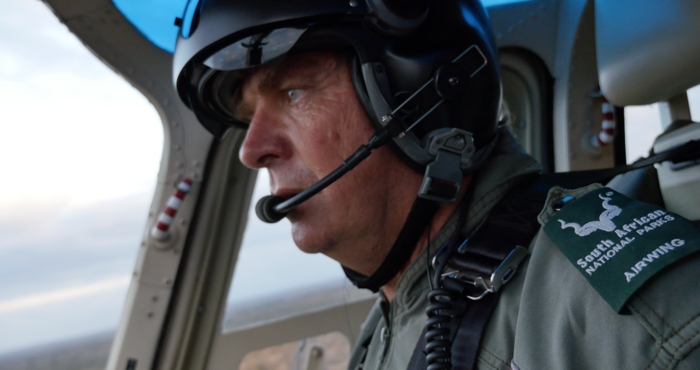 He is currently the only private pilot to be cleared by the South African government to fly throughout Kruger National Park and to assist with such operations. Pilot Tokkie Botes on a mission for rhinos. In New York for the Flying for Freedom fundraising benefit. By now, Shannon’s Animal Avengers foundation, started way back in 2001, had broadened considerably and towards the end of 2017 she became involved with an initiative to produce a series of visually rich, dynamic and interactive websites on critical wildlife subjects. 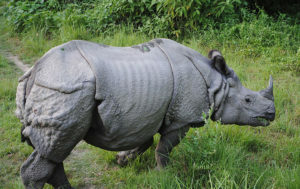 This gained impetus throughout 2018 and the first project – Rhino Review – a comprehensive overview addressing the situation of rhinos in Africa and Asia, is to be launched late 2018. 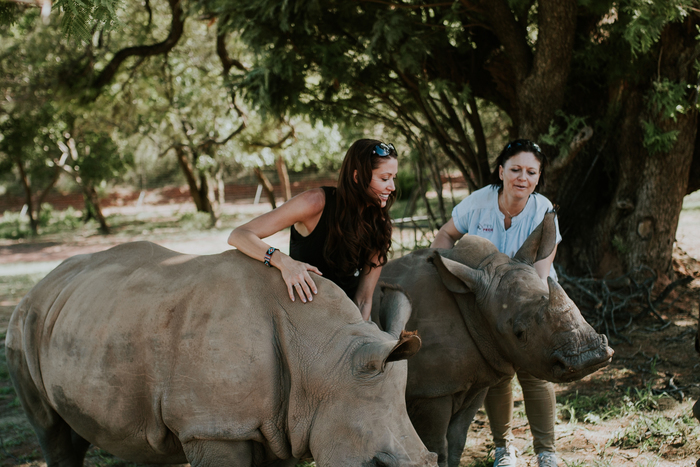 This is the second of a two part feature on Shannon and her work in Africa. You can read Part One here. If you would like to find out more about the Shannon Elizabeth Foundation and its work click here .